My husband is so cute. Since he was blasting Serj Tankian at me while we carded, we named the colorway Serj. It will be in the shop for the July 1 update. Maybe whoever buys it will use it to make a felted gun holster, or power drill cozy or some other stereotypically male item. 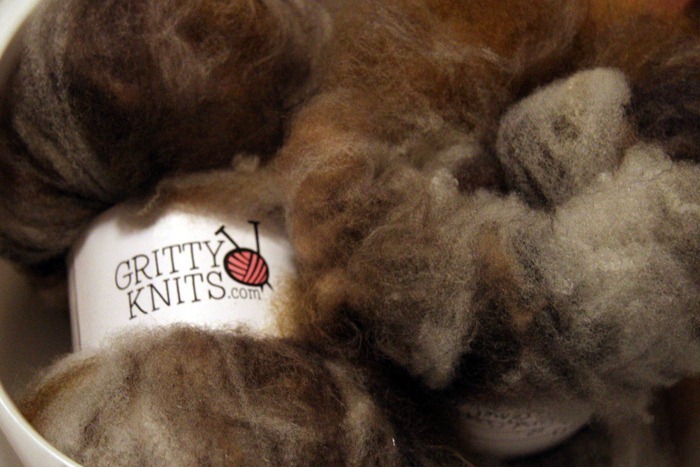 Gritty Knits will have a booth at Fiber Christmas in July! This year’s festival will be held at the Creek County Fairgrounds in Kellyville, OK (southwest of Tulsa) on Friday, July 29 from 4pm-8pm and Saturday, July 30 from 8am-6pm. If you’re going to be in the area, come by and say hello! To purchase/reserve Gritty Knits merchandise online and pick it up at the festival, use coupon code FIBERXMAS which will remove the shipping charge and I will set your goodies aside and have them waiting for you at my booth. 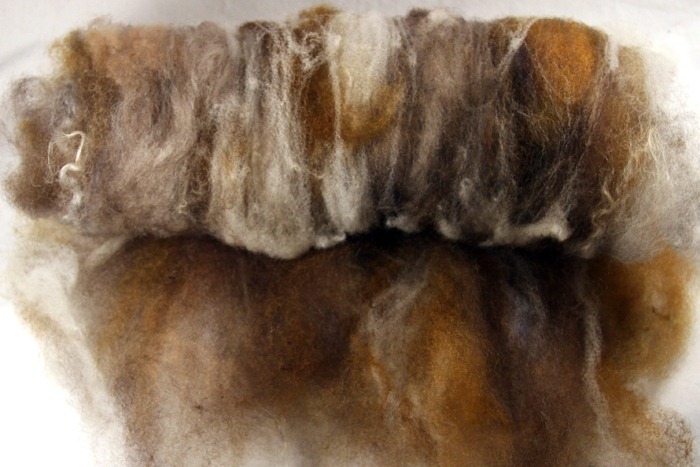 I started a Tour de Fleece team for anyone who wants to join me by incorporating carding batts into your TDF goals for 2011. 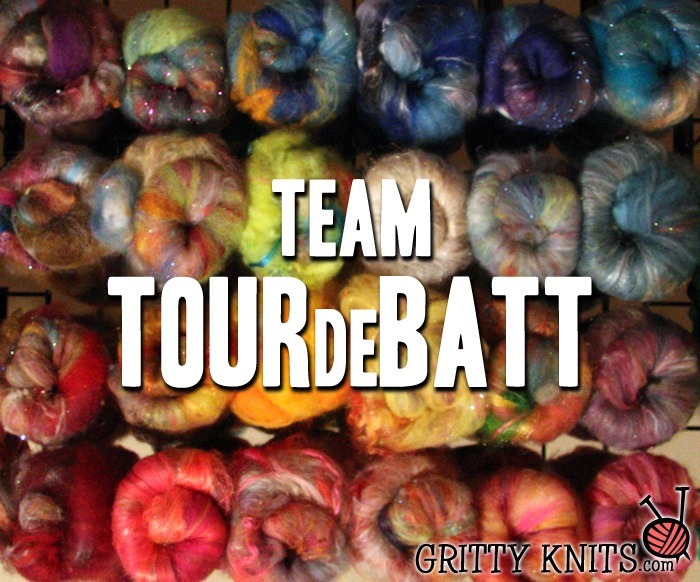 I will be donating 2 batts as prizes: 1 random draw and 1 popular vote. Any team member can also donate prizes if they wish, too. Check it: I’ve had my Fancy Kitty Big Tom for 2 days and I have made TWENTY SIX BATTS so far. Yeah, me and Tom are going to get along just fine. These will be available in the shop promptly on July 1st. Meet Jolly, the smiling Romney lamb. He lives at the Homestead Wool & Gift Farm in Monroe, WI. It’s a great place to be if you are a sheep. Jolly and his friends get to scamper in the pastures and eat hay and Froot Loops to their hearts’ content without having to worry about being eaten or sold off. I have always been an animal lover, and it means a lot to me that they treat their animals like members of the family. The Coats for Sheep fundraiser is a really great cause if you’ve got a few dollars to spend. 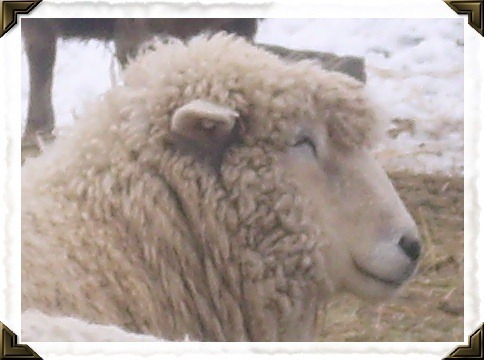 $20 buys a coat for a Homestead sheep, ensuring a nice, clean fleece. For $25, they’ll ship the coat to you and let you decorate it first, and for $50 you get photos of your sheepie wearing his coat and a pound of wool when he’s sheared. Even though Jolly is mine all mine, there are lots of other wonderful flock members who need sponsoring. Click here to donate online. p.s. 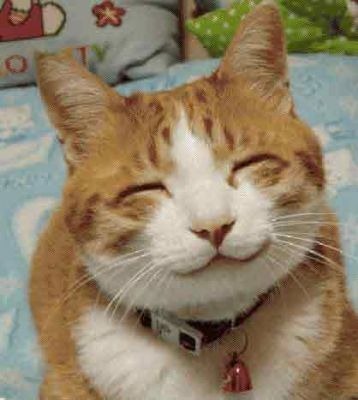 Doesn’t he remind you of this cat? After months of good intentions, I am finally going to make good on my promise to contribute to the Phat Fiber Box. (Reason #5, for those of you keeping track.) I’ve got 56 tiny Nom sample skeins in a brand new color called Henri (pronounced Frenchly, of course: ongh-REE). 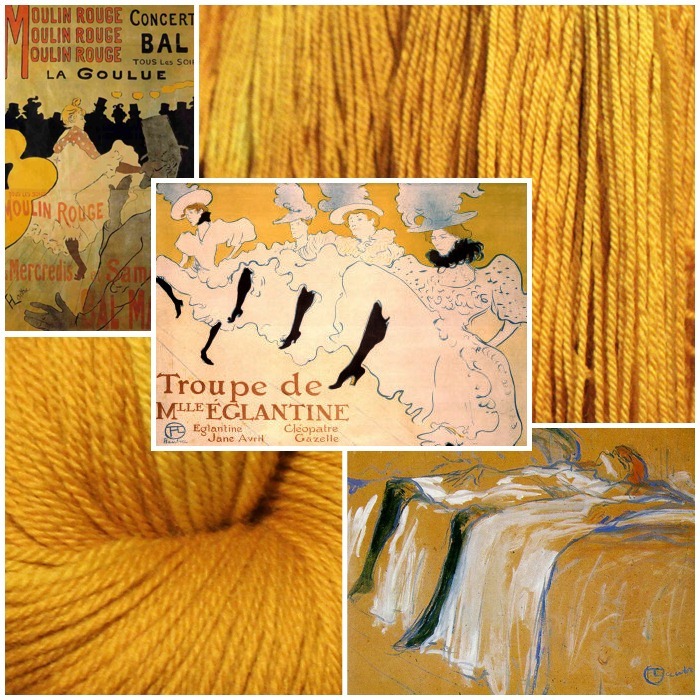 Phat Fiber's July theme is art nouveau, so I created a color inspired by one of my favorite artists, Henri de Toulouse-Lautrec. The color in these artworks makes me suspect that it was once a bright, brilliant shade of yellow-orange, but time and the elements have taken their toll and left this faded, almost dirty-looking harvest gold. Henri Nom’s will be available in the shop as soon as the Phat samplers go out in July, along with a re-stock of the top & batt sections. 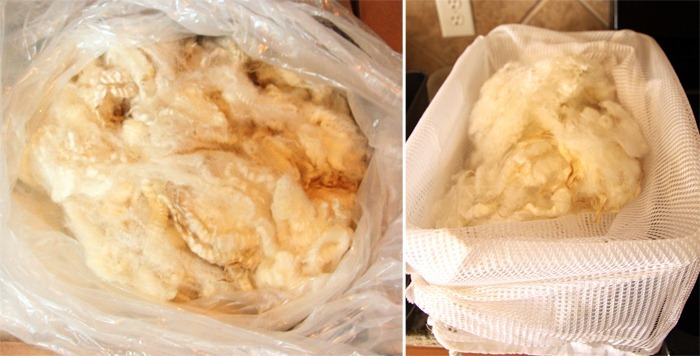 Best month evar, reason #4: I decided to try buying raw wool again. Even though I’ve had terrible experiences in the past, this time it worked out PERFECTLY! I bought 2 jacketed fleeces (Shetland and Shetland x Coopworth) and they were so beautiful and clean. I held a pile of it in my lap for a minute while wearing shorts, and my legs are now magically super soft and lanolin-ized. If only I didn’t mind smelling like a sheep, I would use this stuff as an all-purpose moisturizer. ^ Before & After. One soak was all it took to clean the grease out, and on the second soak the water was clear! There was no VM to speak of, and I am now hooked on coated fleece. When I dye locks, I like to just sprinkle dye powder on top of the wet wool (^ left) and then I add more water & vinegar and gently smash it down with the backside of a large spoon until the dye gets wet and mixes (^ right). Pouring pre-mixed dyes gives an even, consistent (BORING!) color, so I prefer this method because it gives me some nice lights & darks. I always make sure to stuff a little “too much” into the pan, so the fiber on top gets saturated while the fiber on the bottom is usually a bit more pale. Then they get baked in the oven at 300 degrees for 45 minutes and left in place until they’re cool. My drying screen was made by ripping the canvas off an old painting and re-covering it with nylon mesh from the hardware store. It sits flat on top of a fold-out laundry drying rack. If you want to make your own without ruining a perfectly good painting canvas, art supply stores usually sell the stretcher bars individually and you can create any size that will fit in your tub or drying area. If you need heavy duty, they also sell rolls of metal screen-like the kind on a screen door. My club members are so awesome--Check out the monstrous pile of club packages and sale orders that I had to take to the post office last week! Month #1 of the Nom club was so successful that I was able to buy a high speed motorized Crazy Monkey triple skein motorized winder (with counter!). Now three times as many Noms can be wound in half the time! 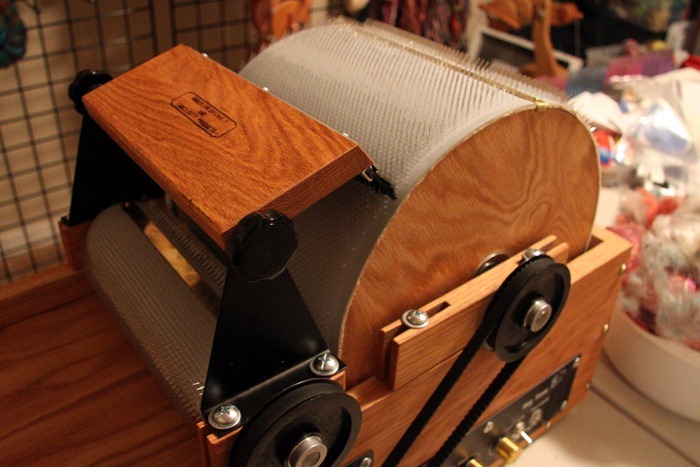 The old single-skein hand-crank model will now be converted into a vertical swift. I took some pictures but they just don’t do it justice, so I’ll post a video of the winder in action some time this week. 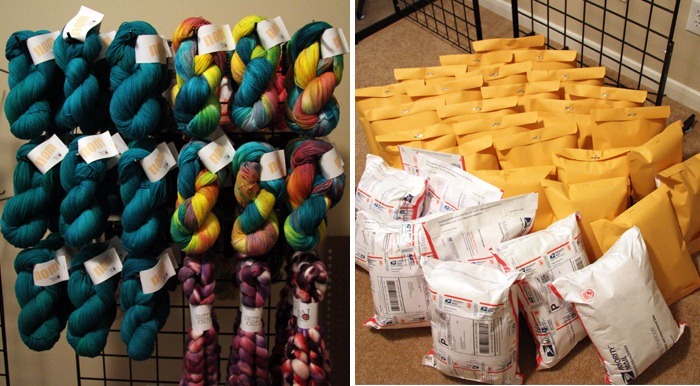 The 40% off sale was a huge success, and it only took 10 days for the batt & dyed top sections to be emptied out completely! The sale, combined with the new club memberships, have put me within $100 of breaking my monthly sales record, and it’s only the 11th of the month! As of next week, I will own every single piece of equipment on my wish list. 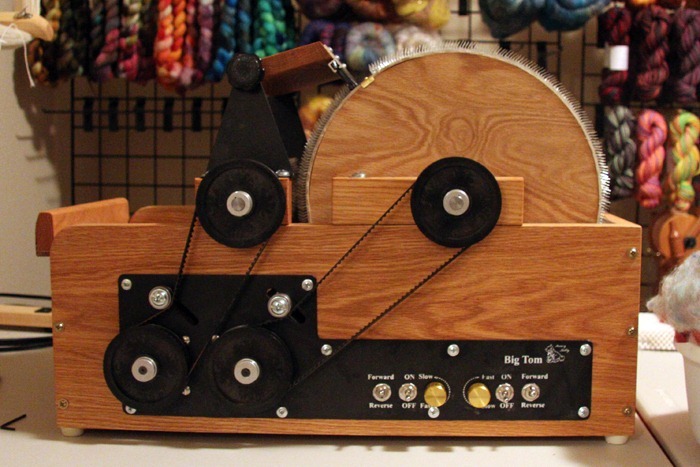 My warping mill, wool picker and skein winder have already arrived, and soon I will also be the proud owner of a Fancy Kitty Big Tom motorized drum carder! It’s scheduled to get here on Tuesday. I can’t believe how successful the 40% off sale was! It’s only day 9 and you guys have cleaned me completely out. I have one poor lonely batt left. Won’t you please give this sparkly little guy a home? ^ As you can see, a decent amount of the fiber stayed stuck in the points, but I was able to clean it out easily without poking myself. 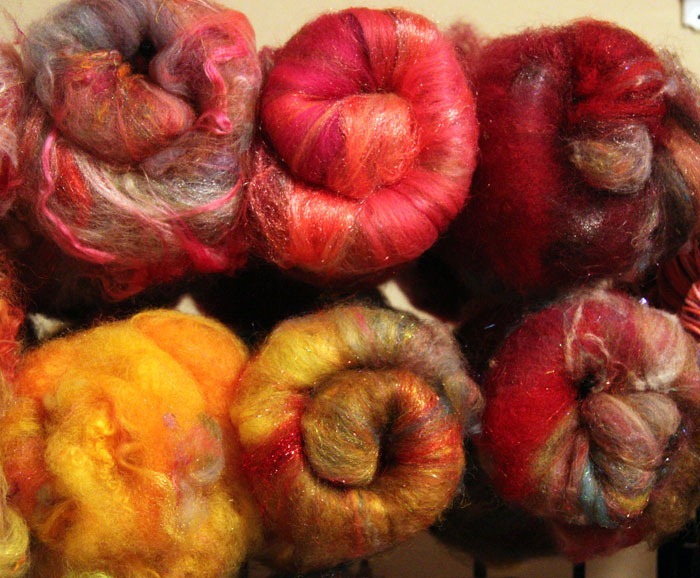 For the grand finale of this review, words can’t express how much I LOVED spinning this fiber. Between knitting, crocheting, carding, and spinning, my carpal tunnel syndrome has reached a scary level of severity in the past few months. But I was able to spin this fiber with no drafting, and therefore no pain. Since I only ran the fiber through the picker once, there were still curls here and there, mimicking the look of tail-spun locks without the hassle of having to tease each lock open individually. The finished yarn (shown above) reminds me a lot of Ozark Handspun. In conclusion, this thing is AWESOME!! 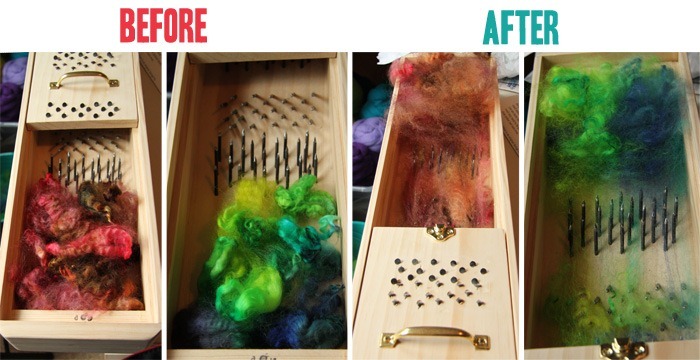 It took me longer to edit the photos and type this blog post than it did to prep and spin the fiber from start to finish. 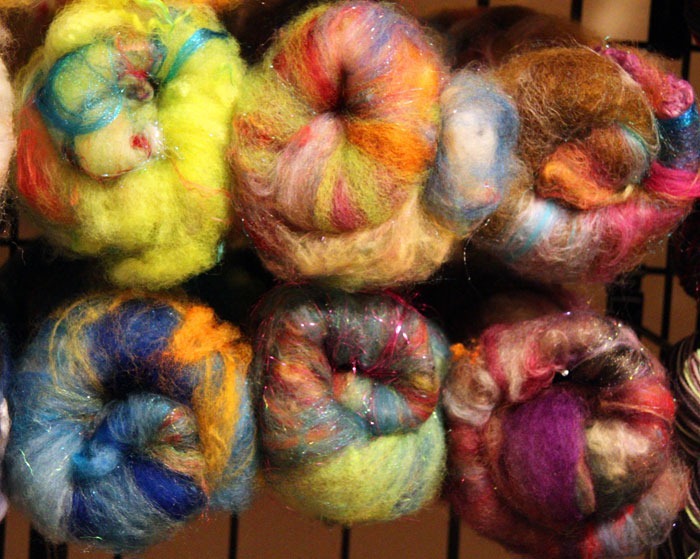 I wish I had more raw fleece on hand to play with. 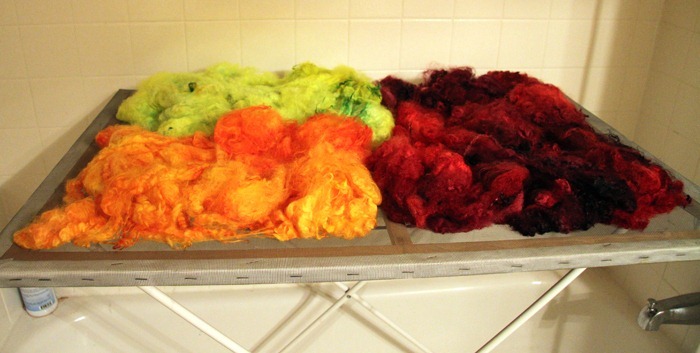 40% off all dyed top and carded batts during the month of June. 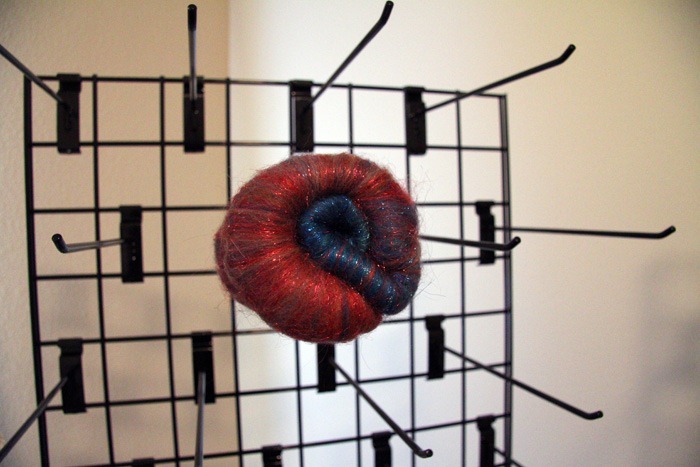 (Art yarn kits NOT included.) I figured I needed to do a little spring cleaning. Since the blazing summer months are a bit slow for wool sales (I can’t imagine why…) maybe this will give my numbers a jump start. Festival news: Gritty Knits might have a booth at Fiber Christmas in July (in Kellyville, OK) this year, so I’m ramping up production. There will be a big shop update on July 1st; that way you guys will have first crack at all the new stuff before the festival goers.